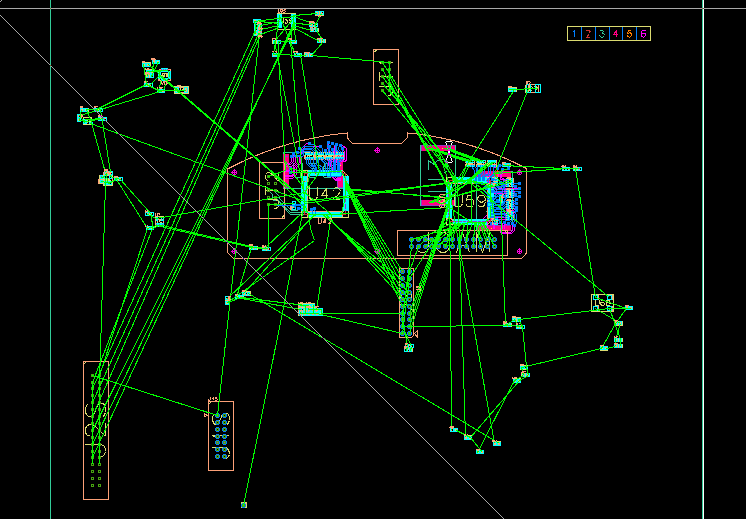 The whole electronics team has been working on the schematics and the board layouts. we are optimistic on that front. For those of you, who would like to know a bit more, I’ll briefly describe how we design a PCB (Printer circuit board) and why I like it. 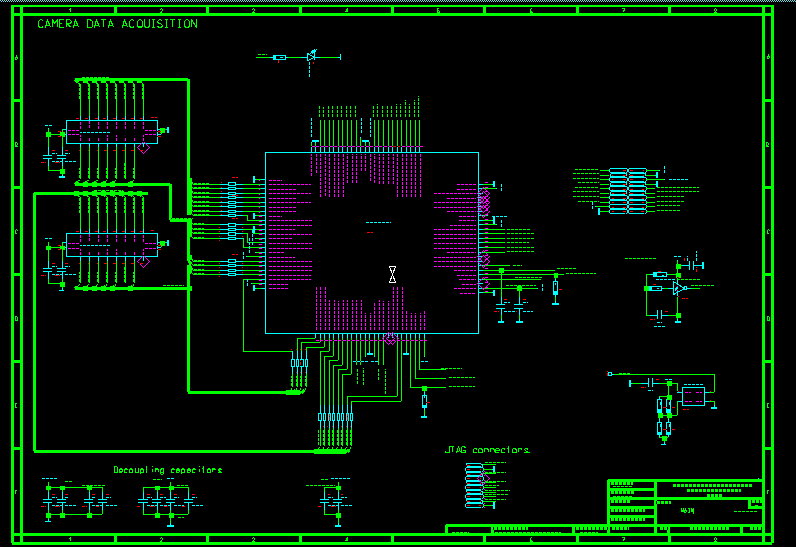 Schematics contains some big components and quite a lot of small components. Then the components should be connected. This could take a long time, especially if you have a component with for example 484 pins. But that’s the boring part. 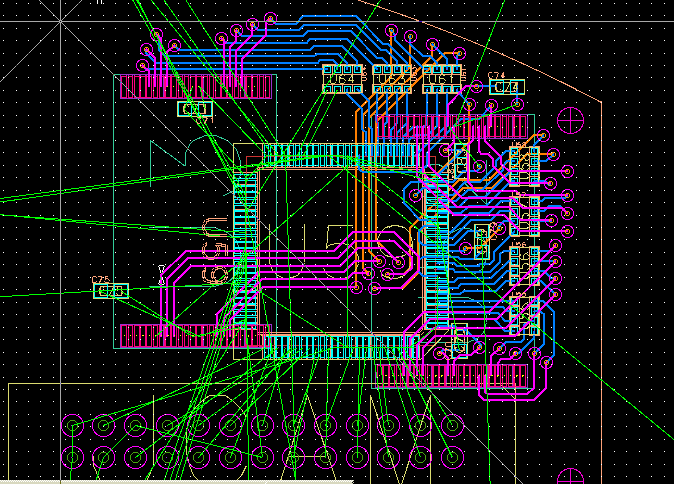 After the schematics is completed comes the best part: board layout. It’s just the start of the design, but it show the idea. The green line represent connections that you have to create and the other color lines are those that are already created. The same color lines cannot cross each other. There are more rules, but these are the basic. This is just the start of the design, but it feels satisfying. Do you want to try? The best thing (or the worst, it depends) is that computers bad at these designs, at least the one we are able to use. So people are left to design these pieces of art. This entry was posted in Uncategorized by georgiolentsenko. Bookmark the permalink.